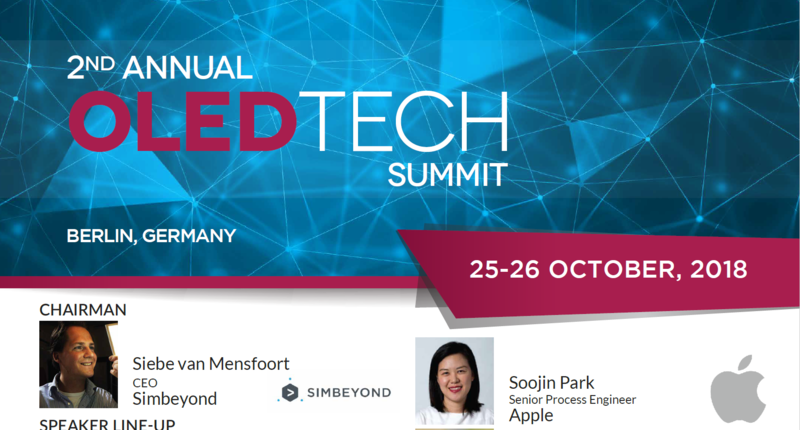 Simbeyond’s CEO Siebe van Mensfoort is Chairman of the 2nd OLED Technologies Summit in Berlin. The summit provides a platform to discuss the latest advancements in OLED technologies and applications that constitute an extremely powerful lever for cross-industry innovation. The purpose of the conference is to create a perfect atmosphere conducive to developing strategies for future success and achieving real results, while encouraging active networking.